Fantomxx / Melo Dead / Control Your Mind V1. 2009 !!! Tribe Sounds. New co-production with audiorythme !!! 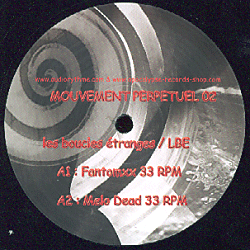 Excellent new mental production performed by Les Boucles Etranges ( LBE ) & Le Menestrel.